One of the key challenges of designing the alternate-reality world of the Commonwealth Empires is getting the technologies of the world right. When I started writing, I knew a few things about this alternate British Empire. One, they never went through the first world war as we know it. The first world war led to enormous advances in mechanization; this is a war that started on horses and ended in tanks. The second world war saw immense leaps communications technology (as allies and axis struggled to coordinate assets worldwide while simultaneously trying to crack the others’ networks). So my Britain, I theorized, invested enormous amounts of effort on robotics and human modification. And food supply, seeing as how it had to manage the large and unwieldy nation of India. All of this came at the expense of communication, so we have soldiers that routine undergo surgery and body modifications – but no Internet. There are radiograms – radio shrunk down to the size of mobile phone – but no undersea data cables or satellite links. Technology, devoid of the Internet services we take for granted, would largely be decentralized: the electronic paper that Eliot Grimme carries operates on solar power, is highly rugged and resilient, and can slot in with other ‘sheets’ to form larger displays with more compute power. In fact, the only thing even closely resembling geostationary satellite networks are the three Angels Interitus: three very crude satellites that will drop a tungsten payload from low-Earth orbit, obliterating cities outright. This is American scifi writer Jerry Pournelle’s idea (https://taskandpurpose.com/kinetic-bombardment-kep-weaponry/) resurrected; it’s something that the present-day US (in our world) seems to be giving serious thought to. The Angels and Britain’s Tin Soldiers – walking semi-amphibious dreadnoughts crewed by advanced AI – form the bulk of my Britain’s military might. 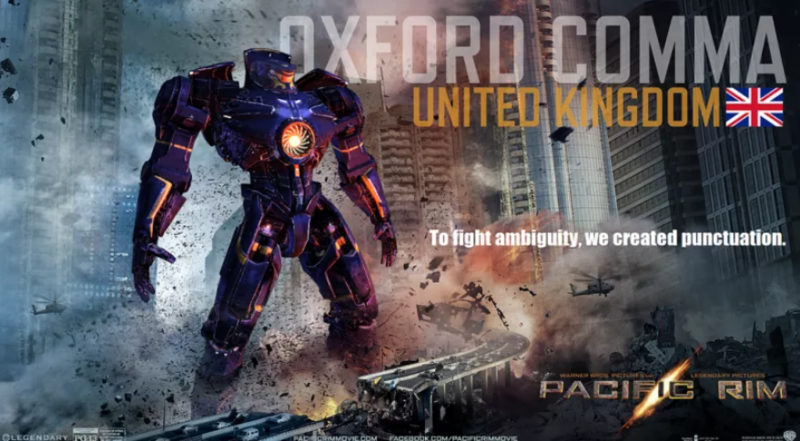 A touch of Pacific Rim there. (Oxford Comma by @HelpThe99ers on Twitter). Sadly no, we don’t have an Oxford Comma Jeager, but dammit, I want one. WHAT OF THE OTHER NATIONS? I have at least six major technological blocs; the Tsarist Soviet Union, China, Japan, the Ottoman Empire and the Germans. West Europe, Britain and the British colony of America share much the same tech. Russia, as we know from the real world, has had a long and fascinating history of doing tech in different ways. 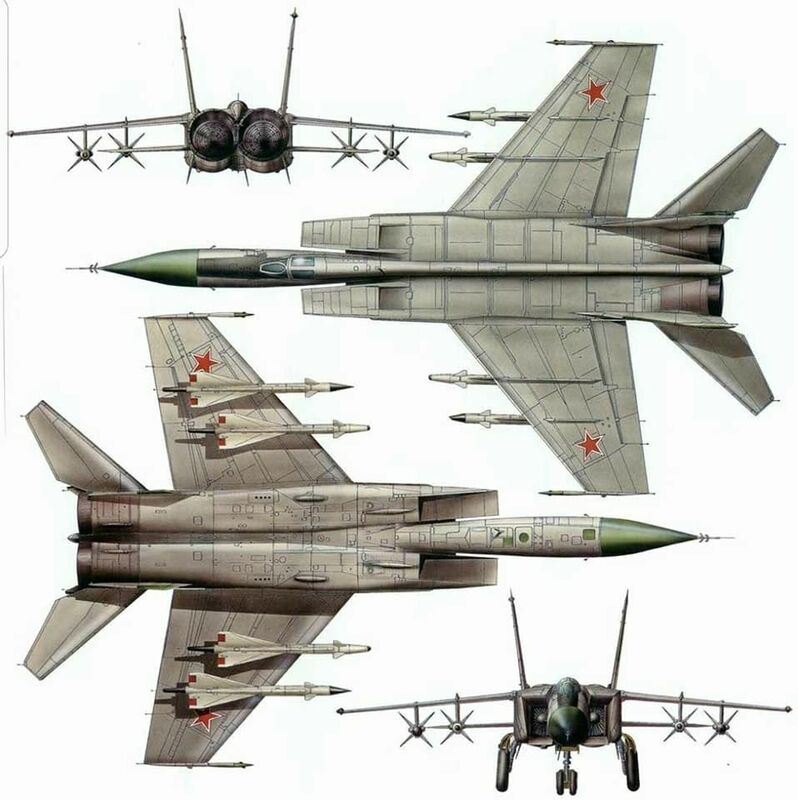 As a child, I remember reading an 1970’s Reader’s Digest story: the defection of Victor Belenko, a Russian MiG-25 ‘Foxbat’ fighter pilot who defected and landed his plane in Hakodate, Japan, during the reign of George Bush Sr. It was the first time Western experts had managed to see the MiG-25 up close – and to their shock, the feared fighter – one of the fastest aircraft in the world at the time, and still one of the fastest – was build out of stainless steel and vacuum tubes. Hell, this was the plane that terrified the US into building the F-15, and this thing had rivets on the hull. It was welded by hand. The vacuum tubes mean it was enormous resilient to extreme temperatures, could withstand an EMP, and gave it a ridiculously powerful radar. It was the fighter jet version of the AK-47. If we get hit by aliens using EMPs, I’m saving up for a MiG-25. Russia’s way of doing things did not stop there. We know that in the 1970’s, Glushkov proposed a statewide Internet analogue (https://aeon.co/essays/how-the-soviets-invented-the-internet-and-why-it-didn-t-work) and Brusentov’s team built Setun-70 (which sadly was the last ternanry computer this world ever saw): https://dev.to/buntine/the-balanced-ternary-machines-of-soviet-russia). Both were innovations that would have changed the face of tech in this world. The ternary computer, especially: 1,0,-1 -> as compared to the 1,0 binary that practically every computer uses today. Instead of 2^(x) possibilities, they’d have 3^(x). In the real world, these things were scrapped because of political infighting. But in my alternate Russia, these things happened; the scientists who proposed them had the ear of the Tsars. As a result, the Russians have a working Internet. They use ternary computers. They have jet fighters that are enormously resilient. They have the closest thing to a proper aerospace program. They are enormously prolific in infantry warfare: they rely on massive regiments kitted in mass-produced power armor. This mirrors China’s scale of armies since their earliest days. There is a curious set of technological difficulties for computers when dealing with Chinese languages (https://www.technologyreview.com/s/608249/for-computers-too-its-hard-to-learn-to-speak-chinese/). 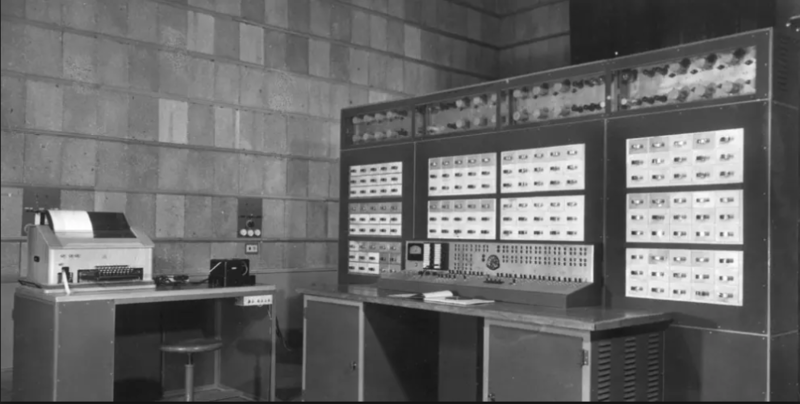 My theory was that this would have shaped the development of technology in China: specifically, they use analog computing that closely mirrors how the human brain work. In fact, the Second Song Emperor (a resurrection of the original Song dynasty) is wedded physically to the Great Computer that runs all, sees all; a part of the Emperor is always present in the lives of everyone. Şerafeddin Sabuncuoğlu, the author of the first surgical atlas from the Islamic world. We know that the Ottoman Empire was remarkably focused on healthcare. Taqi al-Din, who around the 1550’s invented a steam jack driven by a rudimentary steam turbine. The Ottoman volley gun from the 1600’s. I posit, therefore, that the Ottoman Empire specialized in medicine and in developing and licensing technology to other nations; couple this with the region’s oil, and you have a trade empire that relies on massive commercial might to safeguard their position and culture in the world. It seems to fit.They have huge walls and massive stationary defenses that you really don’t want to run into. They have trade relations with both China and the West -remember, this is a nation that sat astraddle the legendary Silk Roads that spread culture, ideas and tech in the real world: we can think of this as the real nexus of the Commonwealth world. 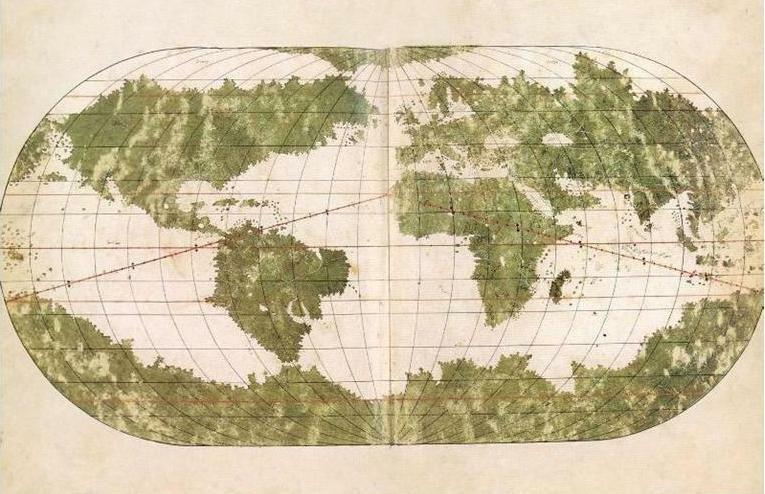 See Peter Frankopans’s The Silk Roads (and, for a short glimpse of the tech at the time, http://www.muslimheritage.com/article/ottoman-contributions-science-and-technology/. Much of their wealth has been focused on terraforming inhospitable conditions – such as the deserts due south of the Empire borders in Africa – into oases. Not unlike the Middle Eastern bloc today – where Israel is a major technological research hub and the Arabicnations turned their oil wealth into glittering cities in the desert. Highly isolationist. Japan in the real world suffered from technological stagnation; hence the events leading up to the Meiji period, where they re-invented themselves. Both Japan and Germany share commonalities in their armed forces: the Germans have the fearsome Teutonic Knights – raised from birth for battle – and the Japanese have their Samurai. Both use elaborate and complex power armor, preferring massive investments on each soldier instead of China’s mass-produced approach. I’m actually taking some inspiration from Overwatch here. Both Germany and Japan have not just knights; they have feudal systems under one leader of almost religious status and accord baron-like power to their knights and samurai. Both are split into clans and rival states that often work at cross-purposes, despite officially operating under one ruler. This fits in with how the German Knights and the Samurai actually did things. Where they differ is in political loyalties. The Germans have powerful links to the Vatican, and the Crusaders are constantly at the gates of Jerusalem; the Ottoman Empire often relies on their defenses and British troops to keep the religious at bay. The Japanese stick to their own. Of course, there’s more to be sketched out in this world – we’re just skimming the surface here – but welcome to the world of my Commonwealth Empires. Let’s see what else we discover as I write.